This article, published first in mid-Novemer in the magazine Undark, explores why some highly developed country have started efforts to take down hydroelectric dams and why countries like Albania insist on repeating the mistakes that are now costing fortunes to rectify. 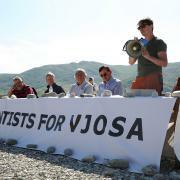 It also prominently features the Vjosa and efforts to save it. Enjoy! 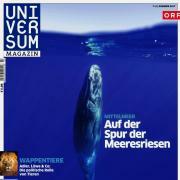 The German magazine Der Spiegel just published an insightful multi-media story about the Vjosa Science Buster Week in April – including stunning photo and video material: The last Blue Wonder of Europe. Check it out (sorry, so far in German only)! The ZDF planet e documentary “Hydropower Madness - The destruction of rivers in the Balkans” about the dam craze putting these rivers at risk received the documentary award of the International Wlodzimierz Puchalski Nature Film Festival Lodz. Congratulations to Birgit Hermes from the ZDF! TODAY: Vjosa on Ö1 radio! 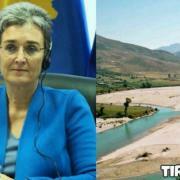 Vice President of the European Parliament Ulrike Lunacek lobbies for a free-flowing Vjosa and against projected hydropower plants! “It is true that Albania needs energy and more development, but that should not be done by destroying nature’, she tells Albanian journalists in Brussels. ++ Dam project on Europe’s last wild river was intended to be realised without adequate environmental assessment or civic participation ++ Legal precedent for rule of law in Albania ++ Tirana, Vienna, December 2, 2016. 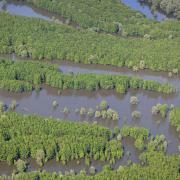 The planned destruction of the Vjosa, one of Europe’s last big wild rivers, is now being challenged in court.